Tourists come to Heraklion to see mainly two attractions: the Palace of Knossos (http://odysseus.culture.gr/h/3/eh351.jsp?obj_id=2369) and the Heraklion Archaeological Museum (http://odysseus.culture.gr/h/1/eh151.jsp?obj_id=3327). Internet is full of information about these two sites so I will focus on sharing my impressions and some practical information. Knossos is exactly 7km away from the Old Harbour. Guide books tell you to arrive before 10am in order to avoid the crowds but we arrived at 11am and it was not yet crowded (well, the last time we visited a site like this it was the Angkor Temples in Cambodia and it was VERY busy, so nothing will probably ever feel the same afterwards!) 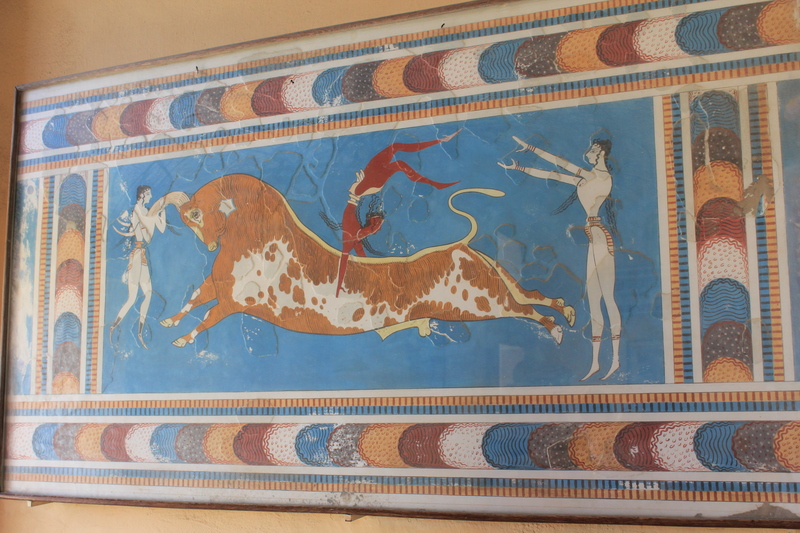 But please notice that we were visiting Knossos outside the peak season. Prior to visiting Knossos we had heard quite a bit of criticism about the site’s excavation and restoration efforts but we thought everything was pretty well done and clear. The Fresco Gallery was my favorite. It was interesting to hear that the Minoans had taken a special liking to the nature and animals, and beautiful and colorful birds, as well as monkeys, were brought from Egypt to Crete. 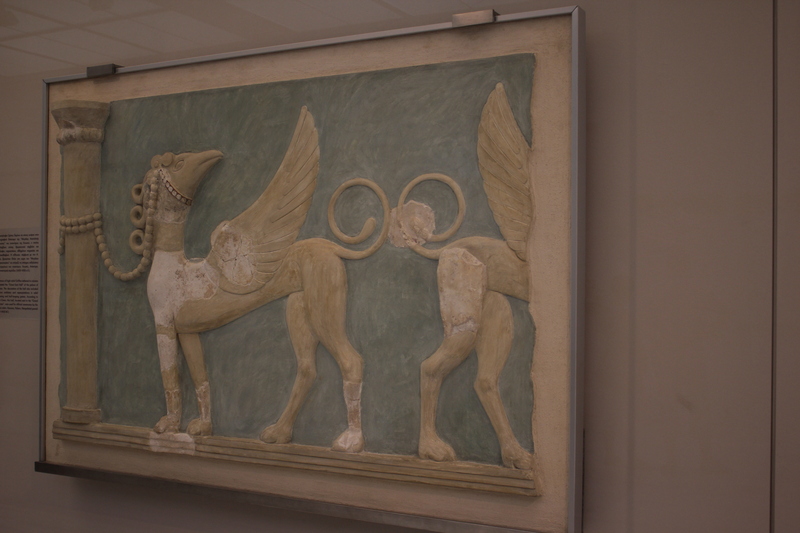 Many exotic-looking animals are therefore featured on the frescoes and clay jars. Lonely Planet Crete (2012) provides you with an itinerary how to visit Knossos (starting by the West and the North Court), but the signs at the site tell you to do the opposite. I don’t have an opinion on this; both seem to work. Knossos costs 6€ per person and for 10€ you can buy a ticket that includes the Museum (it is valid during one week), but it is not necessary because the museum ticket brought separately costs 4€ (there is no discount). We visited first Knossos and the Museum the next day but it is totally feasible to visit Knossos and the Museum the same day. 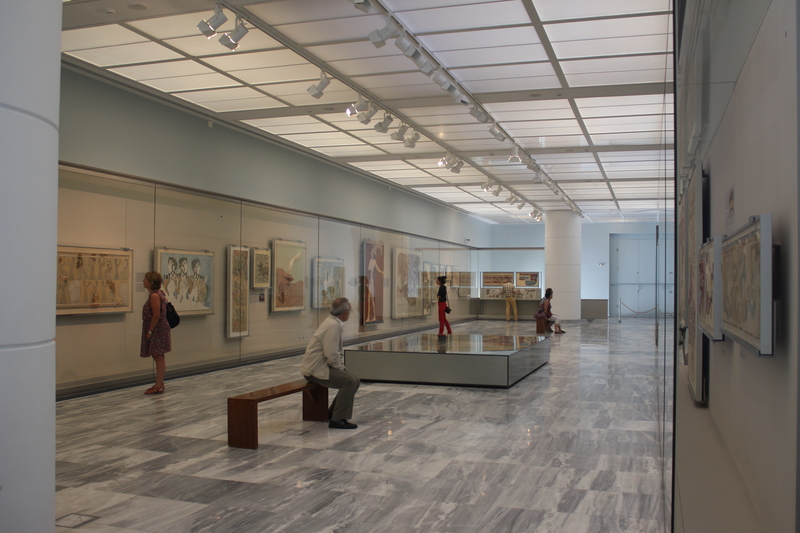 However, I would recommend to keep this order: first Knossos, then the Museum. The Museum wraps up nicely everything that you saw and read in Knossos. 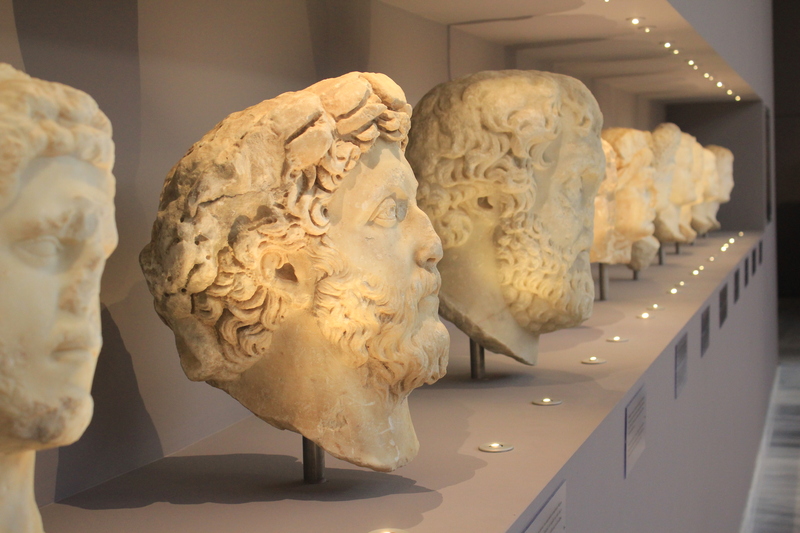 The museum is under renovation and at the moment there are only three areas open to the public: around the corner from the main building you have the main collection with excellent explanations and in the main building there are two room: one for statues and one for the famous frescoes. I was told there will be more rooms open this summer but no details were shared. 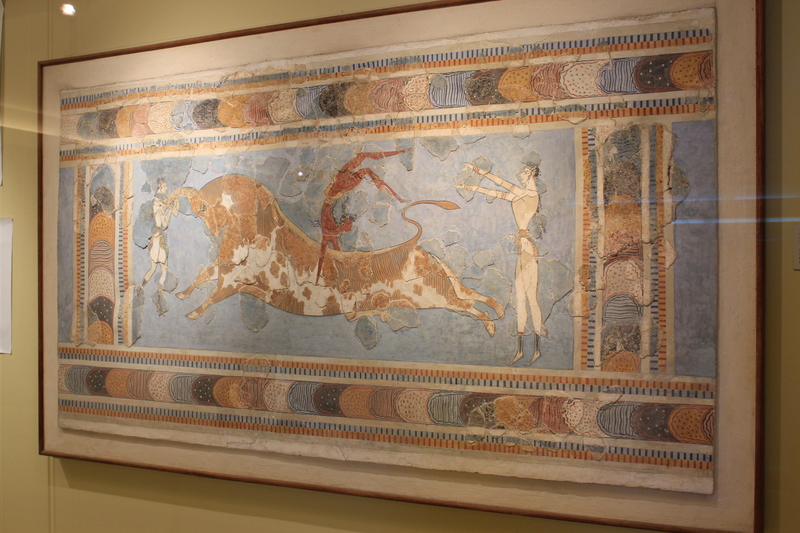 I do not consider myself as someone crazy about museums but I fell in love with the Heraklion Archaeological Museum and the history of Knossos. Knowing that this is where the first European city was developing almost 4000 years ago really struck me. This entry was posted in Uncategorized and tagged archaeology, architecture, art, Crete, Greece, museum on May 24, 2013 by Miia. I absolutely love your blog and find nearly all of your post’s to be just what I’m looking for. can you offer guest writers to write content for you personally? I wouldn’t mind composing a post or elaborating on a few of the subjects you write concerning here. Again, awesome weblog! Hello Justin! Thank you for the compliments. I am just starting my blog (since Jan) so at the moment I am learning and doing this on my own. However, should you want to elaborate something, or simply make comments, do not hesitate to do so after each article! I would like to hear your thoughts. Take care and hope to have you back soon!